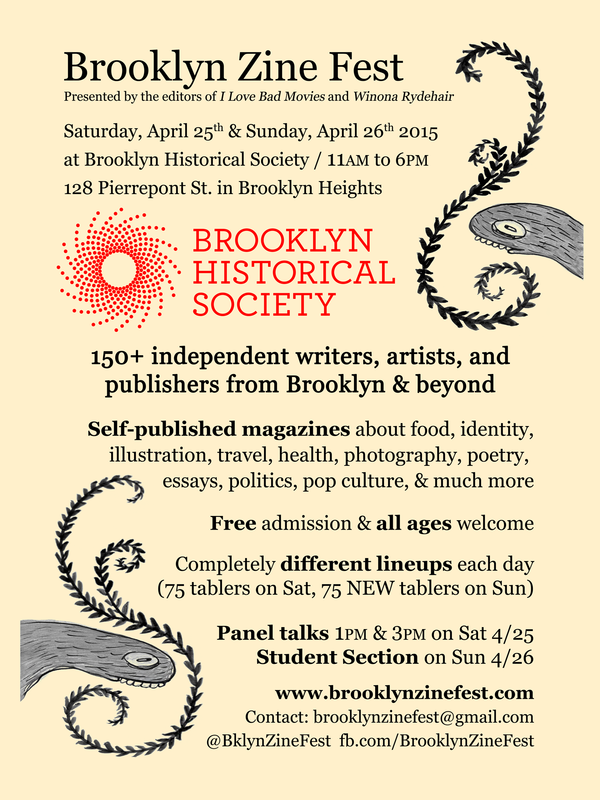 Here’s the poster for Brooklyn Zine Fest 2015! Poster art by Kseniya Yarosh. Design by Matt Carman. 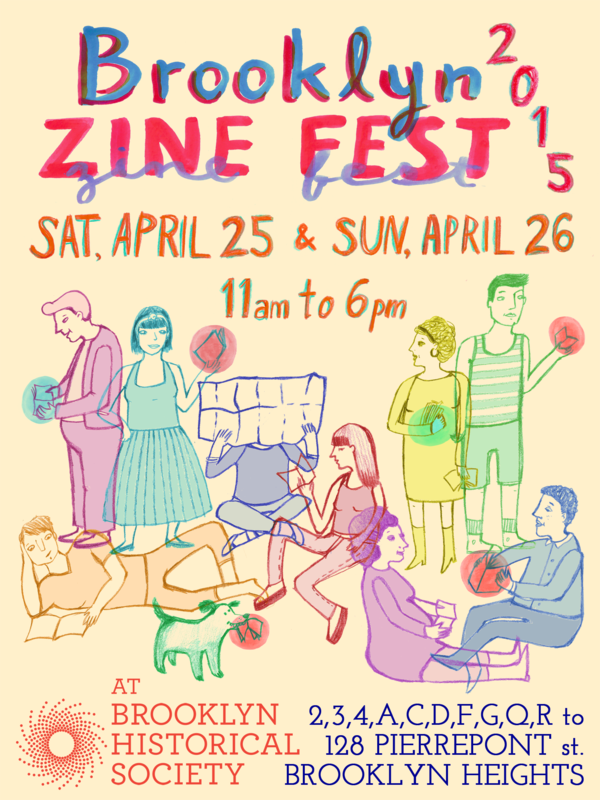 And here’s the back of the postcards we’ll be dropping all around Brooklyn, with most of what you want to know about the Brooklyn Zine Fest 2015 (April 25th & 26th from 11am to 6pm at Brooklyn Historical Society). For more, see the Event Info page. ← One-night pop-up zine library at Brooklyn Museum!